Influencer marketing is now more common than ever. Businesses, both large and small, are tapping into this marketing strategy to help increase their online and offline presence by enhancing their brand awareness. However, you need to understand that influencer marketing is only effective when done in the right way. Influencer marketing is basically founded in the involvement of a renowned person with tangible opinions together with a personal brand. In this case, therefore, it is important to be careful in creating a balance between branding a product and capturing the audience’s trust. There are various elements of influencer marketing to be aware of and many brands seem to get some of the elements wrong. They end up committing a variety of mistakes including but not limited to the following. While it is the intention of every brand to get their products known by the target audience, but it literally supposed to be more than that. Brands need to share what interests the followers the most to capture their attention before showcasing the products. Upon hiring a brand influencer, do not put forward too many demands and restrictions that will limit the influencers from sharing their personal reflections that otherwise make them influential and trusted on social media. Every blog shared by influencers need to be trustworthy and relevant. While many brands are enjoying the amazing benefits of influencer marketing, some are burning more bridges than they are building, literally. Your brand should, therefore, focus on using influencer marketing to build relationships rather than damaging them. For this reason, you need to be wary of the many sprouting agencies that claim to help brands with influencer marketing just to end up hurting your brand reputation through the use of spammy tactics. 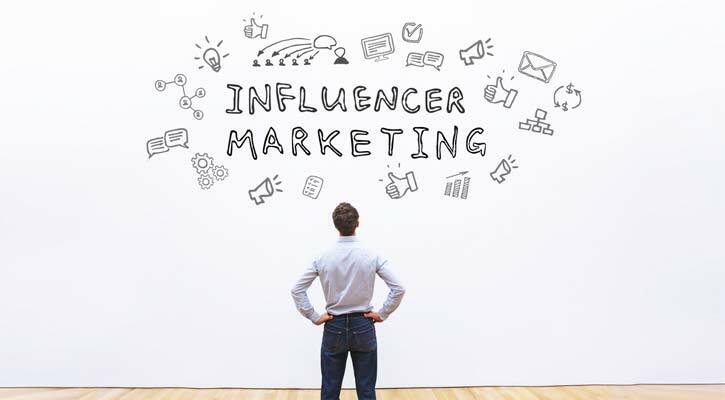 Your influencer marketing approach simply gives the impression of your brand and if you are sending spam messages to top industry influencers and micro-influencer marketing experts requesting for free tweets and following, you can rest assured this is doing more harm than good to your brand. As a brand, you need to optimistic but also realistic, do not expect your brand influencers to reach out to the entire following once you check out their Instagram or Twitter followers. Checking out the influencers’ reach is essential but selecting an influencer based on the number of followers on Instagram or Twitter is not the right way to go. It is therefore important to consider other aspects of influencer marketing when selecting the right brand influencer. Influencer marketing is more effective when high-quality content is shared to the target audience. Rushing the influencers into delivering will end up affecting the quality of the content and this will negatively affect your brand. Always take your time to brief the influencers and work towards initiating a workable collaboration that will ensure you get the best content out there. Give the influencers ample time to focus on their creativity and ability to come up with great content that is relevant and attractive to the followers and readers. Every brand needs to understand the specific achievements of the campaign. Many brands do not exactly understand how to measure the marketing campaign effects. Initiating post-read analysis to understand the effect of the shared content on the audience’s attitude towards the brand is critical here. This needs to be done prior to the start of the campaign so as to get everything in place including the necessary reports and numbers from the influencers to keep a track on. Use of Google analytics and Instagram Insights are just part of the crucial tools your brand can use to measure the effectiveness of influencer marketing campaigns. You should also not forget to stay in touch with ever changing influencer marketing trends. Quite often, brands confuse influencer marketing with earned media. That is why some business entrepreneurs think that having more tweets and following is enough to say they have done effective influencer marketing. That is why there are many brands out there that concentrate more on “earned media” forgetting all about the crucial and powerful influencer marketing with the help of renowned influencers who invest their time in enhancing brands to their community of followers. Investing on trusted influencers will pay more dividends than the earned media many brands are rushing to these days. Brand influencers not only need to have a massive audience but also have the influential power to the small size of following they have. While many brands concentrate on checking out influencers’ following, it is crucial not to forget about other parameters like trust and quality of content, availability, and influence on their followers. Influencers usually spend a lot of time creating content for your brand and ensure they put in place every possible mechanism that will ensure the shared content reaches out to quality followers. As a good show of appreciation, you need to compensate the influencers for their time and effort. Failure to do this is a clear indication that you do not value them as such and you never know when your worthy competitor comes along and takes your crucial asset away. There is nothing powerful in the business like showing your employees how much trust you have on them. The same case is true with influencer marketing whereby a little sign of trust on the influencers goes a long way in motivating them to do even better than expectations. Lack of trust pushes the influencers and they may be working under pressure which may affect the quality of content they share with the target audience. Getting these 10 things straight will help you to create a successful influencer marketing campaign. Always be vigilant to learn more and better ways of going about influencer marketing to guarantee better results for your influencer marketing.